(AUSTIN) — As the Senate Finance Committee considered the budget for the Department of Public Safety on Monday, members wanted to know why their constituents have to spend hours in line to get a driver's license. The driver's license program has been an ongoing headache for DPS, and efforts to streamline the process haven't worked so far. Wait times, whether in line at an office or on-hold on the phone, have increased and many offices are serving small populations while others are inundated with demand. All but eight states issue licenses through a department of motor vehicles. Texas didn't have such an agency until 2009, when legislation carved motor vehicle registration and other services out of the Department of Transportation and created the DMV. DPS is still issuing licenses however, 3.5 million in fiscal year 2017, in addition to 600,000 state IDs. It operates 235 offices across the state, ranging from 166 offices staffed by ten or fewer employees to 9 mega-centers in major cities that process more than 2000 transactions every day. Whether a citizen goes to a single-person office or a mega-center, they aren't receiving good customer service, according to an interim review by the Sunset Advisory Commission. Sunset staff found that wait times at offices continue to increase. At one office, the Houston-Gessner mega-center, average wait times have gone up from 33 minutes in 2009 to 77 minutes in 2017. The problem could be even worse because the agencies don't have data for people who give up before they ever get into the building due to long lines. On-hold wait times are getting longer as well. The Sunset report showed that in 2009, the average hold time was thirteen and a half minutes and most callers just hung up; only 35 percent of calls were answered. The problem only got worse by 2017, adding almost a full minute to the average wait time and reducing the percentage of calls answered to 20 percent. "This is one of the few places where everyone in Texas of driver's license age and above interacts with their state government," said Friendswood Senator Larry Taylor at Monday's hearing. "When it's this dysfunctional, it doesn't look good on the whole state." Austin Senator Kirk Watson, who served on the Sunset Commission over the interim, said this issue was highly frustrating for that joint panel. "Frankly, the agencies were not very good at telling us how we could fix this," he said. "We talk about how you can't just throw money at a problem and fix it." Finance Chair Senator Jane Nelson agreed. "We have more than doubled the amount of money since 2012," she said. "So it's not just a money problem. We better figure out how…I don't want to study this anymore." Sunset recommendations for the driver's license program favored an in-depth study of what exactly it would take to successfully place the program under the DMV, and also put a hard date of a transfer, study or not, on September 1, 2021. Some members raised concerns about whether the agency could handle the program. "Here we are talking about a proposition to move a [program] that requires more FTEs (full-time equivalent employees) than the agency has currently?," asked Lubbock Senator Charles Perry. 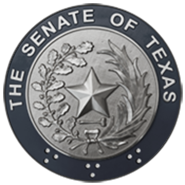 Granbury Senator Brian Birdwell, who served as Chair of the Sunset Commission over the interim and will carry the DPS Sunset bill in the Senate, said they are working towards a solution, but ultimately the driver's license program will be going to the DMV. "This is not a 'study whether we should transfer this or not'," he said. "It's going to move. If this committee wants to move it faster, we can do that." Chair Nelson told her members that she believes this problem will be solved this session. "I think I can safely assure you, just based on the comments this morning, we will come up with a solution to this," she said. The Senate will reconvene Tuesday, January 29 at 11 a.m.